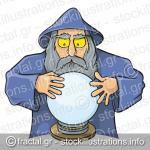 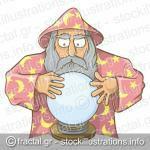 Old wizard cartoon in pink cape looking at magic ball. 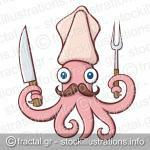 Pink squid chef cartoon with moustache holding knife and cooking fork. 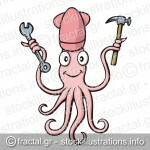 Three cute squid cartoons and a sea shell isolated on white. Pizza slice illustration isolated on white in four versions.